The LittleMachineShop.com Mills are the best in their class. They have the most power, most torque, and a larger table than other mills in their class. The LittleMachineShop.com HiTorque Bench Mill 5500 is a step up in size, rigidity, and power compared to a mini mill. This benchtop mill for sale provides a larger table, more travel, and more horsepower. A 750 watt (1 hp) brushless DC motor provides abundant spindle power and tremendous low-end torque. The motor has a forward and reverse mode on the power panel. The 23.4" x 5.5" (595 mm x 140 mm) table provides a large work area. The HiTorque Bench Mill incorporates a true quill and drill press-style handles for easy drilling. A button on the end of each handle reverses the spindle to make tapping easy. The control panel includes a digital spindle speed display. This mill is a version of the SIEG SX2.7. The Model 5550 Deluxe HiTorque Benchtop Milling Machine has all the features of popular HiTorque Bench Mill 5500, plus: * 3-axis digital readout (DRO) with Bluetooth and 7" tablet display * Larger table * Electrically interlocked spindle lock * Machined aluminum handwheels The LittleMachineShop.com HiTorque Bench Mill is a step up in size, rigidity, and power compared to a mini mill. This HiTorque benchtop milling machine for sale provides a larger table, more travel, and more horsepower. A 750 watt (1 hp) brushless DC motor provides abundant spindle power and tremendous low-end torque and the motor has built in forward and reverse modes easily switched from the power panel. The 27.5" x 6.25" (700 mm x 160 mm) table provides a large work area. The HiTorque Bench Mill incorporates a true quill and drill press-style handles for easy drilling. A button on the end of each handle reverses the spindle to make tapping easy. The control panel includes a digital spindle speed display. This mill is a version of the SIEG SX2.7. 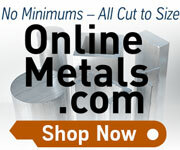 The LittleMachineShop.com HiTorque Micro Mill is the best in its class. It has the most power, most torque, and a larger table than other mills in its class. The 250 Watt brushless spindle drive motor provides tremendous low-end torque. And you can vary the speed from 100 rpm to 5000 rpm continuously. There are no gears or belts to shift. And, with no gears, the HiTorque Micro Mill is the quietest in its class. The large mill table provides 50% more width than other micro mills. The resettable feed dials allow you to zero them at any point. The HiTorque Micro Mill has a drill press handle for drilling. It also has Z-axis fine feed with 0.001" resolution for milling operations. This is a version of the SIEG SX1P micro milling machine for sale. The LittleMachineShop.com HiTorque Mini Mill is the best in its class. It has the most power, most torque, and a larger table than other mills in its class. This mill has a solid column. It does not tilt from side to side. This construction is significantly stiffer than the tilting column on other mini mills. This model also includes the air spring head support for even support through the Z-axis range of travel. The 500 Watt brushless spindle drive motor provides tremendous low-end torque. And you can vary the speed from 50 rpm to 2500 rpm continuously. There are no gears to shift. And, with no gears, the HiTorque Mini Mill machine is the quietest in its class. The large mill table provides 50% more table area than other mini mills. It also has 30% more travel in each direction. The resettable feed dials allow you to zero them at any point. The HiTorque Mini Mill has drill press handles for drilling and fast motion of the mill's head. It also has Z-axis fine feed with 0.001" resolution for milling operations. *NOTE* We ship machines only to the US and Canada. The Model 4190 Deluxe HiTorque Mini Mill for sale has all the features of our popular Model 3990 HiTorque Mini Mill, plus: * 3-axis digital readout (DRO) with Bluetooth and 7" tablet display. The DRO is completely installed on the mill. * Electrically interlocked spindle lock * Machined aluminum handwheels and color keyed drill handles The LittleMachineShop.com HiTorque Mini Mill for sale is the best in its class. It has the most power, most torque, and a larger table than other mills in its class. This mini milling machine has a solid column. It does not tilt from side to side. This construction is significantly stiffer than the tilting column on other mini mills. This model also includes the air spring head support for even support through the Z-axis range of travel. The 500 Watt brushless spindle drive motor provides tremendous low-end torque. And you can vary the speed from 50 rpm to 2500 rpm continuously. There are no gears to shift. And, with no gears, the HiTorque Mini Mill is the quietest in its class. The large mill table provides 50% more table area than other mini mills. It also has 30% more travel in each direction. The resettable feed dials allow you to zero them at any point. The HiTorque mini milling machine for sale has drill press handles for drilling and fast motion of the mill's head. It also has Z-axis fine feed with 0.001" resolution for milling operations. *NOTE* We ship machines only to the US and Canada.